Seattle Bad Faith Insurance Attorneys | Davis Law Group, P.S. Insurance companies often employ deceptive and unethical business practices to make money at the expense of innocent personal injury victims. They know that one of the easiest ways to increase their own profits is to pay out less money when settling perfectly valid personal injury claims, even to their own policyholders. The law requires insurers to act in good faith when it comes to resolving bodily injury claims. If an insurer or insurance company representative is found to have acted in bad faith when denying your personal injury claim, we may be able to help. In some cases, bad faith claims against an insurance company can result in increased financial compensation for auto accident victims. If you or a loved one has been seriously injured in an accident and the insurance company is not treating you fairly, contact attorney Chris Davis and the team at Davis Law Group by calling our office at 206-727-4000 to request a free legal consultation. Washington state's Insurance Fair Conduct Act (IFCA) sets the standard for insurance corporations who conduct business within the state by creating an incentive for insurers to at least make an effort to settle claims fairly, or in good faith. Specifically, state law permits personal injury claimants who are unreasonably denied a claim for benefits to pursue additional legal action in an effort to recover additional damages, including attorneys' fees and costs of pursuing the action. What this means is that injury victims have additional options for legal recourse if they can prove that the insurance company did not make good faith efforts to resolve or settle the case. In some cases, a successful IFCA claim can provide injured victims with a higher level of compensation even if the insurance coverage limits were lower than their actual damages. 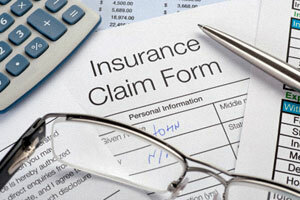 It is no secret that insurance companies routinely prioritize their profits over people, and they have discovered that they can make more money by denying or devaluing otherwise valid claims, especially when it comes to bodily injury claims. Accident victims frequently grow frustrated with the insurance claims process because insurance companies routinely deny or devalue personal injury claims, making it more likely that the claimant will agree to a low-ball settlement offer. If an insurance company denies your personal injury claim, that does not mean that your case does not have merit or should not be pursued. It may simply mean that the responsible party does not believe you have sufficient evidence to support your claim. In some cases, hiring an experienced insurance dispute attorney is in injury victims' best interests and can drastically improve the chances of a successful outcome, as well as the overall value of the case. Insurers know that if they make the process as confusing and frustrating as possible, claimants will eventually grow tired of the situation and agree to settle claims for far less than they may actually be worth. In fact, insurers have routinely hired consulting agencies to help them refine these unethical business tactics and increase their profitability. One of the biggest advantages insurance corporations have over the average accident victim is an army of high-priced lawyers who understand how to work the rules of the personal injury legal process in their employers' favor. Having a qualified personal injury attorney on your side is the best way to combat these unethical strategies and tactics. The American Association for Justice (AAJ) annually ranks what it considers to be the "worst" insurance companies for consumers when it comes to negotiating in good faith. According to the AAJ, researchers analyzed decades of court document records, SEC and FBI records, state insurance department investigations, and testimony and depositions of former insurance agents and adjusters in order to evaluate individual insurance companies' reputations for engaging in bad faith tactics. If you or a loved one is experiencing difficulty negotiating your personal injury claim with the insurance companies after an auto accident or other type of incident, the award-winning attorneys at Davis Law Group can help you better understand your legal rights and determine if hiring an attorney is in your best interests. The Washington State Office of the Insurance Commissioner (OIC) investigates complaints made by policyholders and claimants against insurance companies who do business in Washington state. When appropriate, the OIC can impose fines, order reimbursement payments, or take other actions against insurance companies who engage in bad faith business practices. Each year, thousands of Washingtonians file complaints with the OIC against insurance companies. Below is a list sorting the most number of complaints for the 10 worst car insurance companies in Washington State in 2016, the most recent year for which this data is available. If you experience difficulties with an insurance company, the Washington State Office of the Insurance Commissioner (OIC) can investigate the circumstances to determine if the insurance company failed to follow Washington state insurance laws and abide by the contractual terms of your policy. This process typically only addresses potential repercussions and forms of punishment that could be assessed against the insurance company. To pursue a civil insurance bad faith claim against the insurance company and achieve justice for your auto accident or personal injury case, you should consult with the award-winning personal injury attorneys at Davis Law Group. Claim Delay: Insurance company has unreasonably delayed the investigation and/or processing of a claim. Delayed Payment: Insurer fails to promptly provide payment to the injured person in order to settle the claim. Claim Denial: Outright denial of the claim, even if the claim is perfectly valid. Claims Fraud: A claim-related deception or unfair practice to avoid payment. Contributory/Comparative Negligence: Unfair or false assessment of negligence, fault or application contributory negligence laws. Adjuster Problems: Claims adjuster handles the claim unsatisfactorily. Misrepresentation: Insurance company or its representative made misleading or untrue statements about the policy’s terms, benefits, or about insurance during the marketing and sales processes. Unfair Settlement Offer: Insurer's settlement offer was deliberately below fair value and would not make the claimant whole. Pre-Existing Condition Denial: Insurance company improperly denied a claim based on a pre-existing condition. Medical Necessity Denial: Insurer improperly denied coverage by saying treatment was medically unnecessary. Usual, Customary & Reasonable (UCR) Charges: Insurance company's "usual, customary and reasonable" reimbursement amounts are inadequate. Subrogation: Improper subrogation activity by the insurer. It may be difficult to determine exactly which tactics an insurance company is using to devalue your case. The bottom line is that if you believe the insurance companies are not cooperating with you in a fair manner to resolve your personal injury claim, it may be in your best interests to consult with an attorney. In addition to being one of the most recognized personal injury law firms in Washington state, Davis Law Group is also known for creating and providing free informational reports to injured victims designed to educate them about the legal issues and challenges involved in the insurance claims process. In an effort to expose and better explain the unethical business practices that plague the U.S. insurance industry, attorney Chris Davis has published a report titled, Unsurance: The Ugly Truth about Unethical Business Practices in the U.S. Insurance Industry. This report highlights some of the disturbing business strategies employed by these corporations. If you or a loved one has been injured due to the negligence of another person or entity and the insurance companies are not cooperating fairly, it is likely in your best interests to consult with an experienced personal injury attorney. Our award-winning legal team can help you better understand your legal rights and determine if hiring a lawyer is in your best interests. Davis Law Group's legal team works on a contingency fee basis, so there are no up-front costs and you only owe attorney's fees once we have secured a financial recovery on your behalf. We will review your case absolutely free, just call our office in Seattle at (206) 727-4000 or use the confidential contact form on this page to request a free legal consultation. "The insurance company was trying to low-ball me after my car accident... I ended up getting way more $$$ than the insurance company offered!!! Thanks Chris! You are the best." "...was overwhelmed and stressed out by the process and dealing with the insurance company...there is not a better law firm out there."